Pool was nice. No breakfast and no restaurant at hotel but cheap eats close by. Away from main road so quieter but noisy A/C in room. Beach was disappointing as there is garage along beach that looks like it has been there for a while. About 3 km to water fall in national park but cost 200 B per person to get in. The hotel seems to get a bad rap from previous reviewers. However, I found the hotel clean enough, cool enough A/C, no "funny smells" or water drainage problems, and curiously - no "cremations" taking place (as a few reviewers mentioned). Yes, 100 meters distant is a large Buddhist temple. But from previous comments, one would have imagined a virtual "Aushwitz" operation taking place (I think the reviewer gave hotel a 2.0 rating). The pool was large and clean. The staff was able to give me a room at 0700 hrs check-in. They have a tram service 4x daily to their sister hotel on the beach (with free access to another big beautiful pool and beach BBQ dinners and romantic islands offshore). Another reviewer commented "too many Russian guests". I say: Russian ladies are quite tall, blonde and slim - what is this complaint about? People are beautiful. Anyway, what does anyone expect for $16 /night (including Agoda's fees)? Our room was clean and comfortable, with balcony on the back of the hotel, facing the jungle, but it was in shade, The rooms on the front have better view but get sun all day. Within 5 minutes walk you can be on the main road there you find find "Seven/Eleven" a bank shops market, restaurants and bars. The was a kettle to boil water in the room but no cups,coffee etc. The swimming pool was very good. Had a very relaxing stay at VJs residence. Rooms very clean and large, nice balcony. Security guard, hotel reception staff lovely people. Great breakfast. Good air conditioning and tv. A bit far to the beach although hotel offers a shuttle service to their other hotel on the beach which has pool as well. Staff cheerful, helpful and took minimum time to check in. Full, nutritious Thai and English breakfast. Free shuttle to and from private beach. 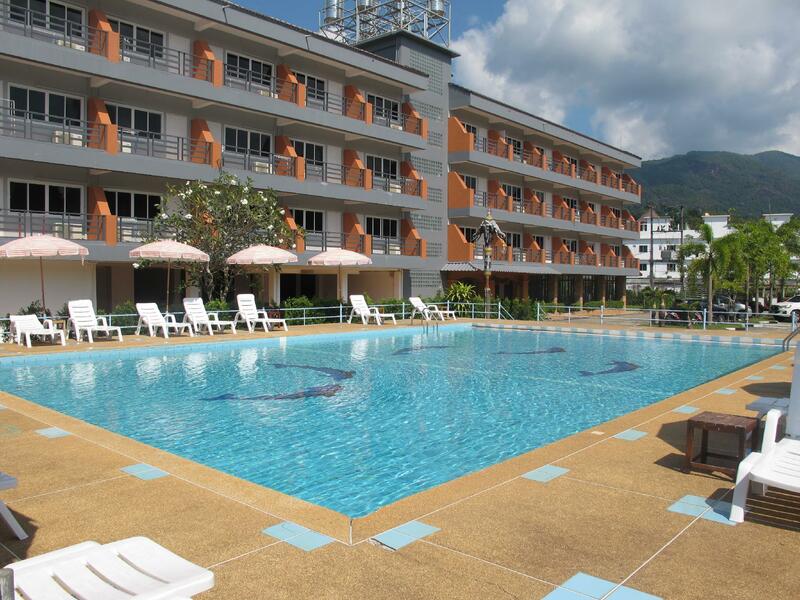 Quiet location, pool with refreshing and clean water, padded deck lounges. Key didn't fit in lock, so they gave us an adjoining room. No one cleaned or made up the bed the next day. The Residence is a four-story, modern building with a nice pool in front. The surprise is the link between it and VJ Hotel, which backs onto a private beach, so Residence guests can get a free shuttle anytime to the beach(about 2-3 km away)and free deck chairs there and take the shuttle back to the Residence. Also, the Residence called a motorbike dealer to come to the Residence so we could rent a bike. We didn't have to go to them(price is the same). The rate we paid - 800 baht/night, including breakfast, was a bargain and we'd do it again! Highly recommended. Clean comfortable beds, good air con, good shower and bathroom facilities, a good swimming pool, very quiet and peaceful after dark but a bit off the beaten track so I would recommend hiring a vehicle. 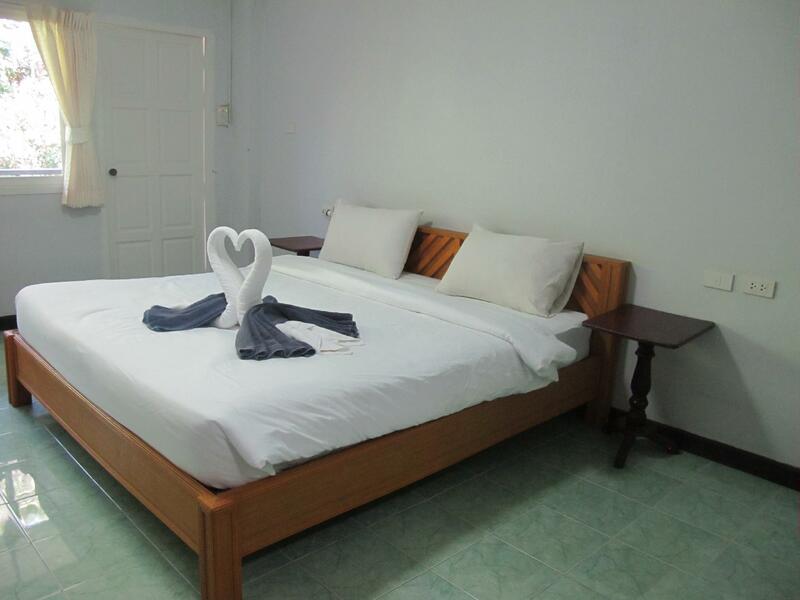 Pros: fair price, very clean room, pool, 5 minutes to main road for food and services, 10 minutes walk through vacant green space to Klong Prao Beach. Can do long walks on this beach. Lots of green space around, very quiet, large room with wardrobe, desk, tv, Table and chairs, clothes rack for drying towels, beach towels, mini fridge, a/c, daily service if needed, balcony. Daily water. Cons: some repairs needed . Our bathroom door latched inside because the latch is coming off; some linens need to be replaced... they can no longer be washed clean; pool needs a cleaning around the edge. Staff at front desk could engage more with guests. the towel smells very bad, the toilet does not flush down well, everything looks and feels from the 80's, also very near a funeral cremated side, we can see the smoke on our way out in the morning, staff don't speak much, with a sad face on every one. i truly think sleep on the beach is better than stay in this hotel. Location far away from everything hard to get there - small swimming pool outside! The maintenance is very poor everything – it looks rundown nobody really fix anything!! The Breakfast Buffet was poor and not organized!! The place made more an impression of a youth hostel than a 3 star hotel!!! The interior of the Elevator was run down and the florescent light hanging out ! The wooden furniture at the poolside was damaged altogether mostly broken, I never see anybody who clean the place or arrange the beds around the pool!! There is no Save in the room and the air-condition unit had no remote and water was running from it down on the floor!! The Breakfast Buffet was unrecognizable no signs that say what was served I just had to guess what it was! No fresh milk and no brewed coffee - just instant powder!! The staff at the reception and in the dining room doesn't speak English!! That place is run down and I advice not to go there!! The hotel is located out of the main center area, but still is full of all the shops and ammenities you will need. This hotel can be classed as one step up from a hostel/guest house, and if you look at it from this angle then this place is worth every dollar. For the price it can't be beat, a swimming pool, breakfast, and a clean air conditioned room. It is a little off the main road, so finding it the first time may be a little difficult. Apart from that my two night stay was very "standard". Restful place and reasonable price for room. Have cleaning pool we can walk from hotel to the street for shopping or dinner or take the cab to ferry pier or touring around the island. Breakfast and staff service normal. We forgot my clothes at the hotel we inform the hotel staff but nobody see it. Staff is not helpful. Hotel is old, rooms are basic, pool is full of local children (so no fun to go in as they have no respect for others), ocean view means views of the banana trees next to the hotel, it is difficult to find and its right behind the cremation house of the local temple (not good for supersticious thais). All in all i would not recommend anybody staying there. I paid for the night, however, I checked out after a few hours as i found a much better place to stay. I personally didn't stay at this hotel my wife’s relatives did with my daughter. There comments where that it was clean and staff where friendly enough however on the 2nd day the water stopped working for about 5 hours (no toilet) and there is no restaurant to obtain dinner. So you have to make a trek back to the street. Not on beach or no access to a beach. After seeing the place after drop off and pick up I personally wouldn't be paying more than 30AUS a night for the room we had. Don’t get me wrong it's good value for that just much less than we thought. Hope that helps.